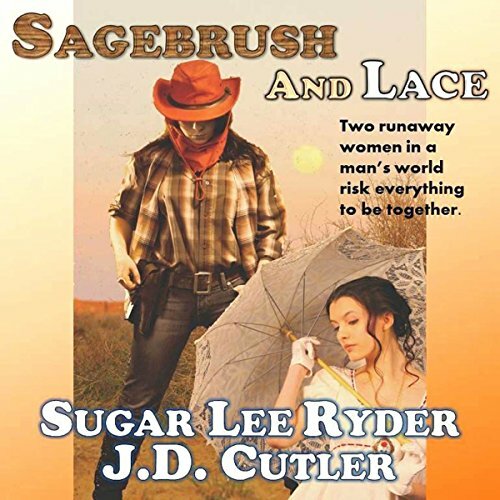 Showing results by author "J. D. Cutler"
Six guns, whips, and wild, wild women! 1876: Time to throw away the corsets and draw down on the Old West. When Horace Greeley said "Go West Young Man" he never would have thought that two young women would take his advice to heart. Striking out against all odds and risking everything to be together. Society calls them Sapphists. Chief Sitting Bull calls them "Big Magic". Buffalo Bill Cody and Wild Bill Hickok call them friends. Pinkerton's detectives want them alive. Meet a nature photographer with a fear of sharks...who's been stranded on a tiny island when the tide starts coming in.... Discover the origin of three scars left on man's body: each one left by facing one of the seven deadly sins. And ride along the razor's edge of a deadly California highway...while a reckless motorcyclist puts everyone in harm's way. Included in this three-story collection: "Shadow on the Sea", "Three Scars", and "A Road Painted in Scarlet". Visit a world where a wild-land firefighter must use his mysterious powers to save his crew from a roaring inferno. Follow an eco-tourist's frantic efforts to escape an African quarantine zone ravaged by a deadly virus. Meet a gumshoe journalist as she tracks down a figure that'sable to predict the future with terrifying accuracy. And tune into Texas station KRAP (don't touch that dial, there's KRAP on it!) as a pair of down-home country deejays try their damnedest to stop a murder...while they're still on the air. Michael Angel and J.D. 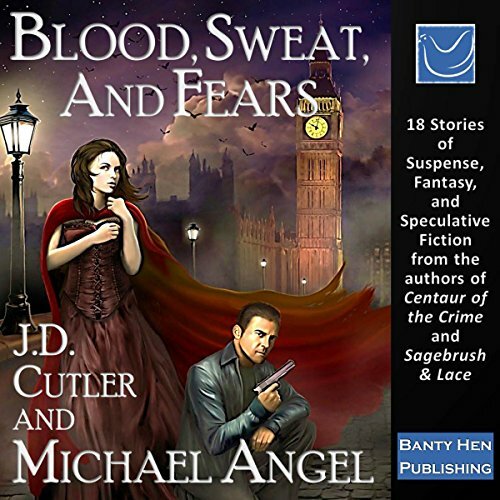 Cutler present three stories of suspense - and unexpected heroism.... Meet a down-on-his luck supermarket worker who has to foil a kidnapping all on his own. Tune in to back-roads radio station as a pair of down-home country deejays try their damnedest to stop a murder - while they're still on the air. And follow a California surfer boy on his first date with a Texas beauty...while her cousin Billy-Bob literally rides shotgun on them. Michael Angel and J.D. Cutler present three stories about predators... and whether their quarry survives. Join the hunt as a professional assassin tries desperately to escape the consequences of his hit, while trapped in the men's restroom in the Vatican. Meet a wildland firefighter who must use his mysterious powers to save his crew from a roaring inferno. And see if a mercenary game hunter can collect his final prize - a woman with the most powerful psychic ability ever seen.